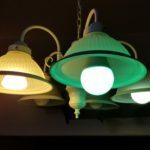 There aren’t many options in the Z-Wave market for color LED light bulbs. 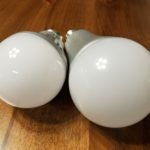 I have been using the Aeon RGBW bulb for some time and have recently obtained a Zipato bulb and wanted to write a quick comparison of the two for people out there that might be interested in buying one or the other. One thing that the Zipato has over the Aeon is size. The Aeon bulb is large. 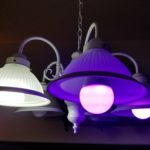 In fact, it is quite a bit larger than all the color bulbs that I’ve used (except for perhaps the LIFX). 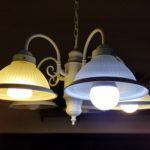 I’m not sure why the Aeon bulb is as large as it is, but the size sometimes causes problems depending on the light fixture you are using it in. 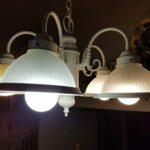 Clearance of the lamp shade in a table or standing lamp can be a problem, as well as the distance that the bulb hangs down in a hanging fixture. The latter problem can be seen in some of my photos. I hope that this is something that they can rectify if they release a follow up to this product. 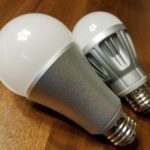 As for the Zipato, it is about the same size as what the other color smart bulb manufacturers are offering. This includes Philips, Osram, etc. This is one area where the Aeon really shines. The engineers and developers over at Aeotec have a bit of a reputation for including ways to tweak their products. 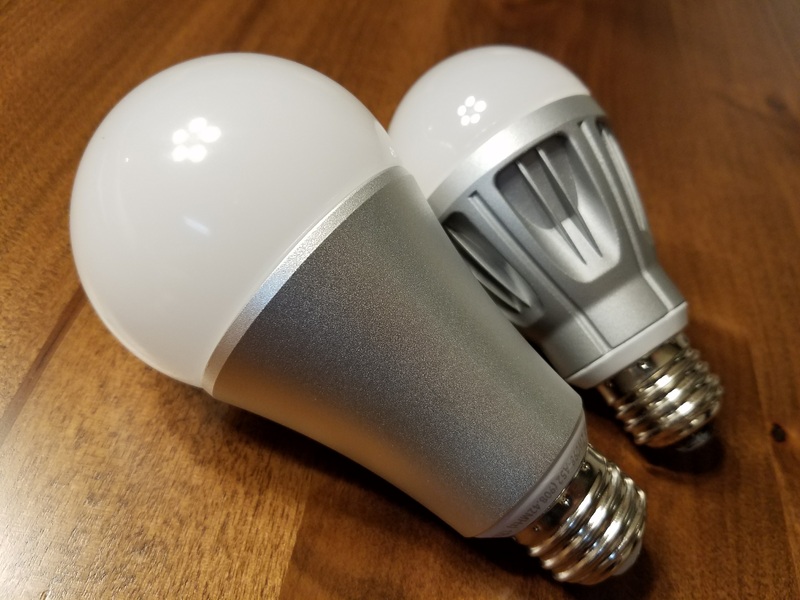 The Aeon RGBW bulb is no exception. Along with a few options added to the bulb in firmware 1.05 (like power on state and dimmer mode), the bulb has a pretty impressive ability to create custom “programs”. 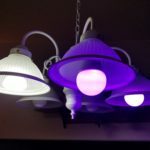 These programs can flash or fade the bulb to certain colors and the color transitions can be short or long. 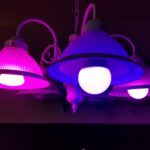 You can have the bulb fade quickly from random color to random color, have it flash red and blue rapidly (in police light fashion), or just have it display each color in a “rainbow” sequence. There are lots of possibilities here, but of course, they do depend on the Z-Wave gateway you are using. The device handler I have written for SmartThings does support full functionality. Also of note, there are some slight differences between programs depending on whether you are using firmware 1.04 and 1.05. For example, 1.05 supports adjusting the brightness of the programs while 1.04 does not. As for the Zipato, it has the ability to adjust the shock sensor (which seems to only be used during including and excluding). It also has a Z-Wave option for white temperature, which I am still trying to find the purpose of. The Zipato also has a “Strobe” function. 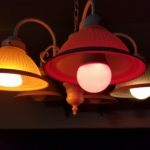 With this effect you have the ability to adjust the speed of the strobe and whether it uses a random color or the last color the bulb was on. Definitely not as capable as the Aeon, but being able to activate a rapid & psychedelic strobe pattern is a great party trick. 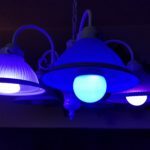 I used the Philips Hue in my tests as I feel it has bright, rich colors. Throughout the tests I used the same RGB and Hue / Saturation values for an “apples to apples” comparison between the bulbs. 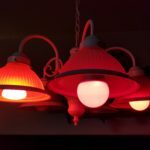 The Philips and Zipato were pretty comparable, but the Aeon colors were quite a bit off. They also seemed a little washed out. 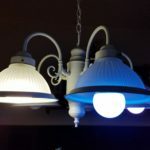 Probably not too much of a problem if you are exclusively using their bulbs, but the Aeon would look out of place if you were mixing and matching in the room. The Zipato is a little expensive in comparison to the competition. Especially now that Philips has released some cheaper options. The Zipato is currently about $55-$59. 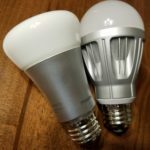 The Aeon bulb is a much more competitive ~$40. You might even be able to find some cheaper options for the Aeon if you buy them in packs of 2 or more. 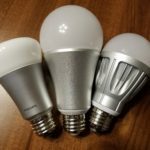 I love the price and features of the Aeon RGBW bulb, but its color output and size make it a tough buy. 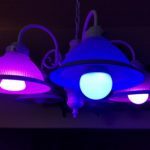 If you are looking for a single product to bring color to a room, you will probably be okay with the Aeon (granted it fits in the light fixture). If you already have a diverse color light family, trying to adopt the Aeon will probably cause an inconsistent look. It is hard to pass by the price though. 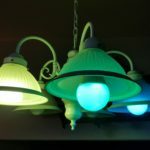 Hopefully Aeon will soon release this bulbs successor, that corrects the issues mentioned above.